This tomato, cucumber and onion salad just screams summer to me. It is the perfect side to any menu. It is the perfect side to any menu. 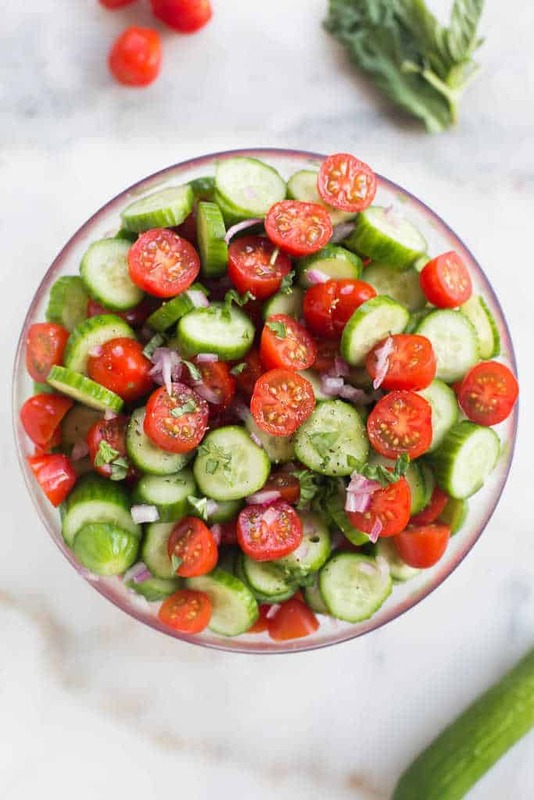 Also, it is great on its own as a snack or even added to a larger salad �... How to Make Tomato Cucumber Salad: Cut your cherry tomatoes in half and cut your cucumbers into 1/4� coins and add them to a bowl. Then, drizzle olive oil and vinegar on top, toss the salad, and season it will red onion and basil. Rinse the tomatoes and cut them in half. Add them to a large platter and arrange as haphazardly as you like. Cut the peaches in half, twist, and remove the pit. How to Make Tomato Cucumber Salad: Cut your cherry tomatoes in half and cut your cucumbers into 1/4� coins and add them to a bowl. Then, drizzle olive oil and vinegar on top, toss the salad, and season it will red onion and basil. Creamy cucumber tomato salad is the perfect side dish for outdoor entertaining. 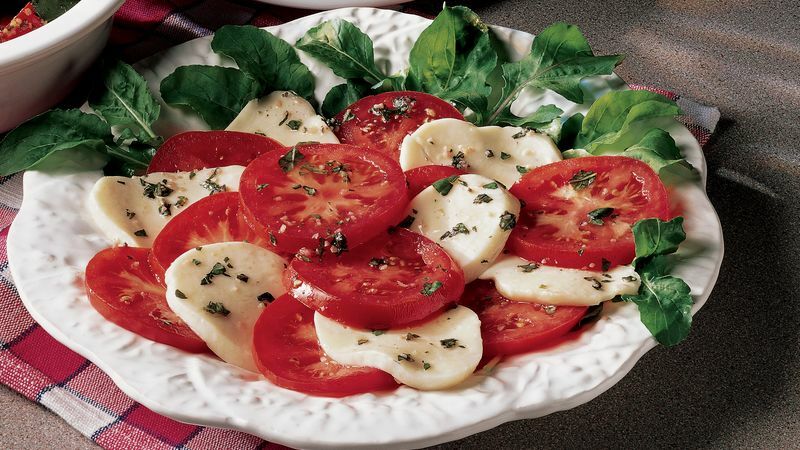 This refreshing salad only takes 5 minutes to make! We make this salad a lot in summer not only for its quick and easy prep but also because all the ingredients are in season. How to make a Cucumber Tomato Salad: Begin by washing all your fresh vegetables and herbs, including your cucumbers, tomatoes, onion, and cilantro. Peel and slice your cucumbers, and I also cut each cherry tomato in half as they were quite large.